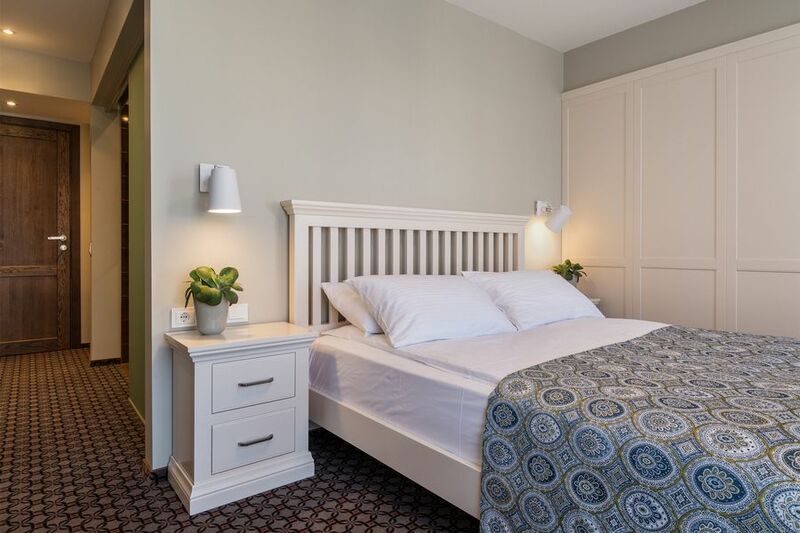 “Sinchronas” is one of the best choices for your accommodation in Telšiai. It is located in the heart of the city and offers a spectacular view of the Old Town and the lake “Mastis”. At “Sinchronas” you will always find a room that meets your expectations: whether you are a solo traveller or travelling with family, on holidays or on a business trip. You are always welcome to stay with us! 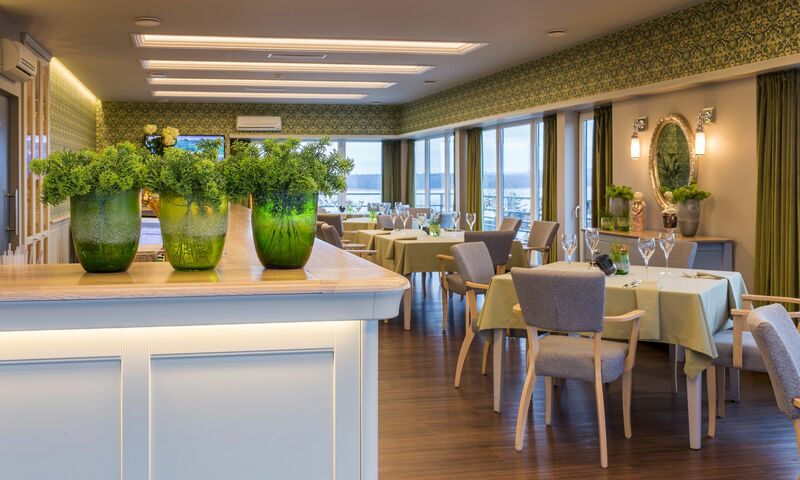 Located on the third floor, there is a newly restored “Sinchronas” restaurant, which welcomes not only the hotel guests but also the residents of the city. We also offer a conference hall for private or business events with all the necessary facilities (media, wide screen, sound and etc.) or even a Turkish batch and Jacuzzi for our guests to relax.